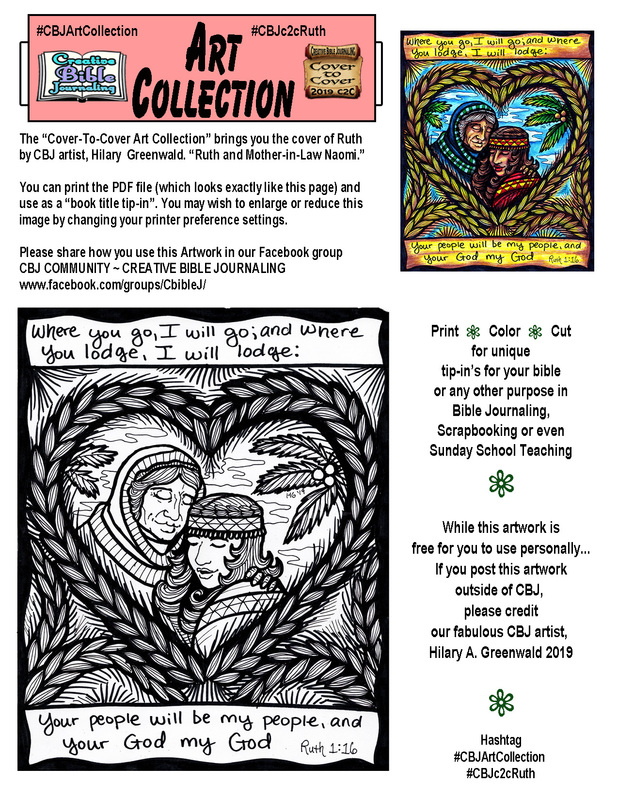 The “Cover-To-Cover Artwork Collection” brings you Ruth by CBJ artist, Hilary Greenwald. 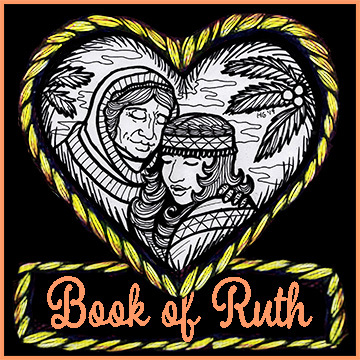 “Ruth and Mother-in-law Naomi” is a heart-warming piece of art. 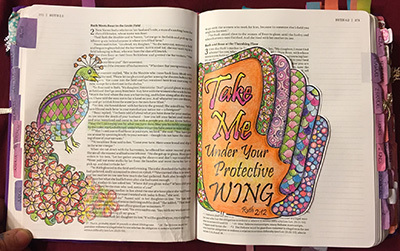 You can print the PDF file (which looks exactly like this page) and use as a “book title tip-in”. 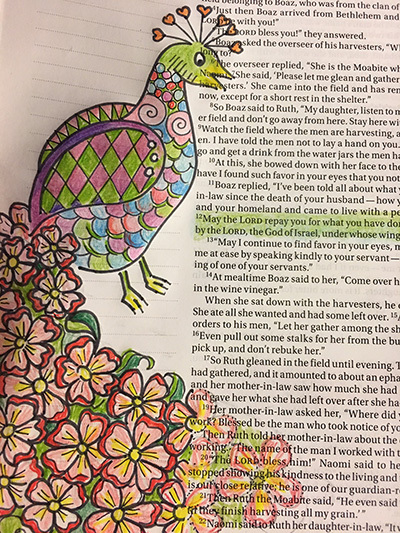 You may wish to enlarge or reduce this image by changing your printer preference settings. 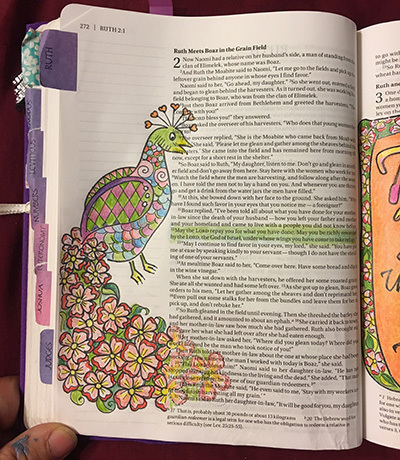 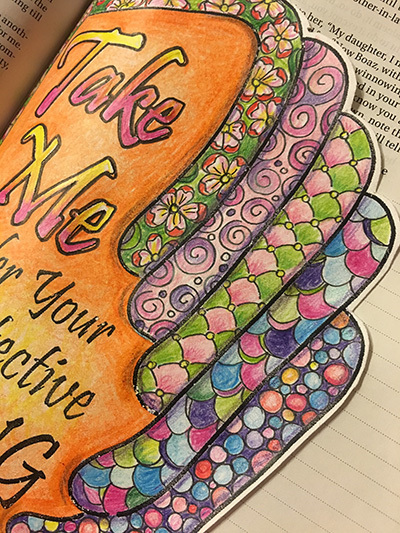 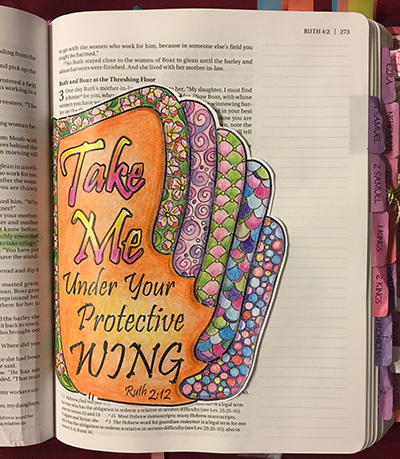 If you post it outside of Creative Bible Journaling’s Facebook group, please give credit to our CBJ Artist Hilary Greenwald.